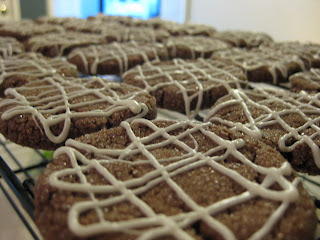 In my effort to get this blog started I baked about 3 different times in under 4 days! Honestly I'm a little impressed with myself. While looking threw my cook books to decided what I wanted to bake next, I had to find something that I already had the ingredients for. 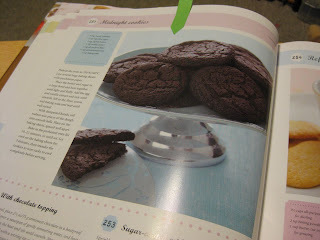 I stumbled across Midnight Cookies inside my "1001 cupcakes cookies & other tempting treats" cookbook. 2. Place butter and sugar in a large bowl and beat together until light and fluffy. Add the egg and vanialla extract and mix until smooth. 3. In a small bowl mix together, flour, cocoa, and baking soda. Slowly add the flour mixture to the large bowl and beat until well mixed. 4. With hands, roll 1in diameter pieces of dough into smooth balls. 5. Sprinkle 1/4 cup sugar in a small bowl. Roll each ball of dough in the sugar. 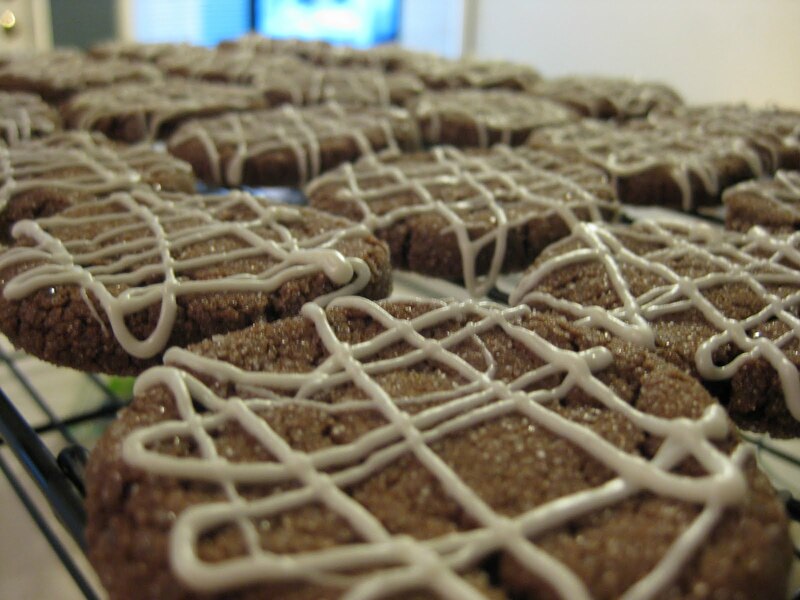 Then place on baking sheets, spaced well apart. 6. Bake in the oven for 10-12 minutes, or until set. Let cool on the baking sheets for 5 minutes then transfer to wire racks to cool completely. 7. 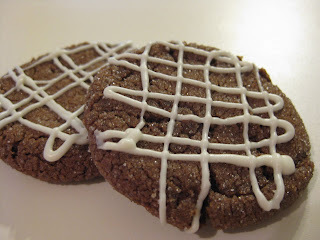 I used my extra white chocolate left over from the cake balls to decorate the cookies and make them look extra delicious.